March 2018 began with an interesting journey for us and taking part in a technical auction for the trans-shipment bridge project. We presented to the customer the offer made by us. 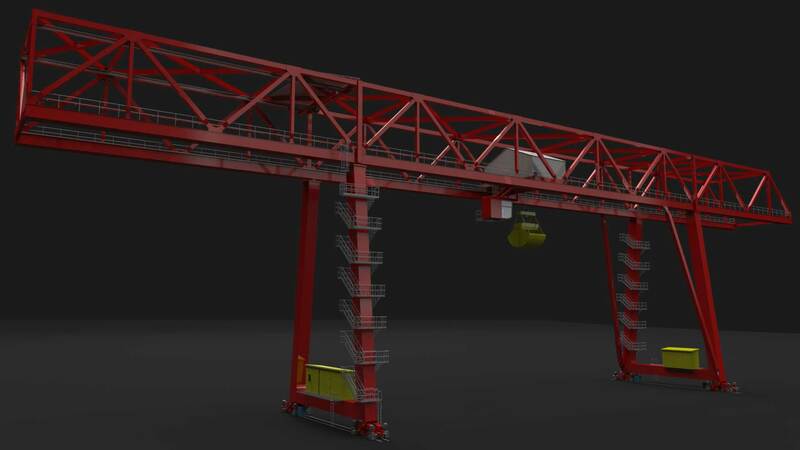 The design and production will be carried out by several companies from different countries, our task will be to perform calculations and technical documentation of the steel structure. 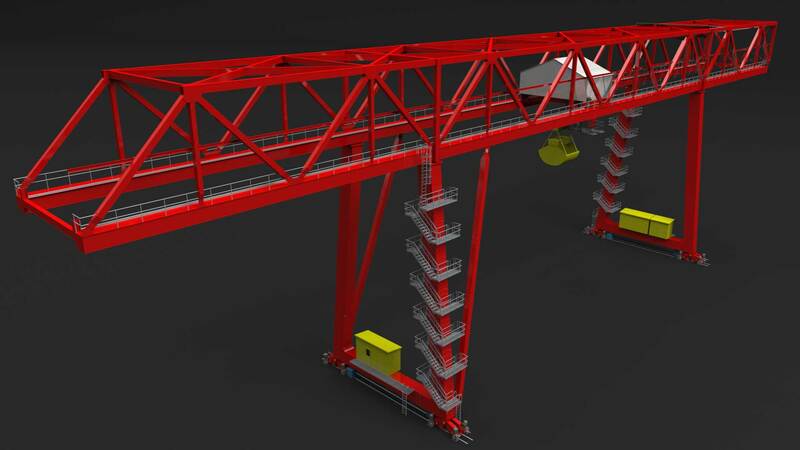 The bridge is a unique device due to its dimensions and will replace the currently operated gantry crane on the coal square. 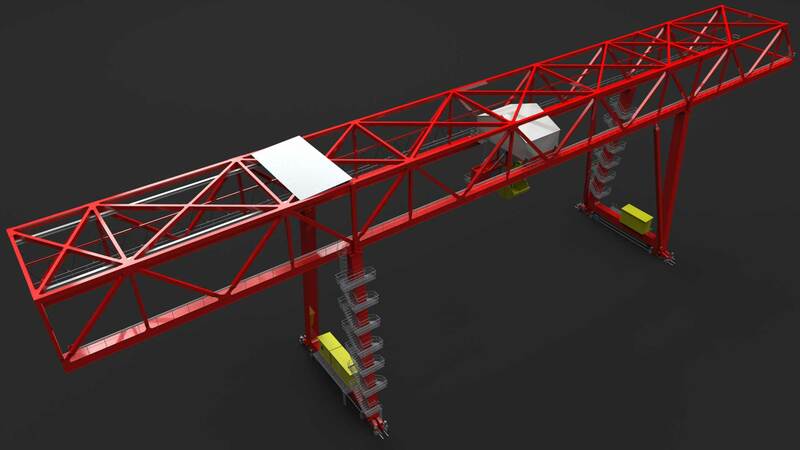 We have designed a truss-type bridge with a total length of 120m with box-section supports with a spacing of 60m. 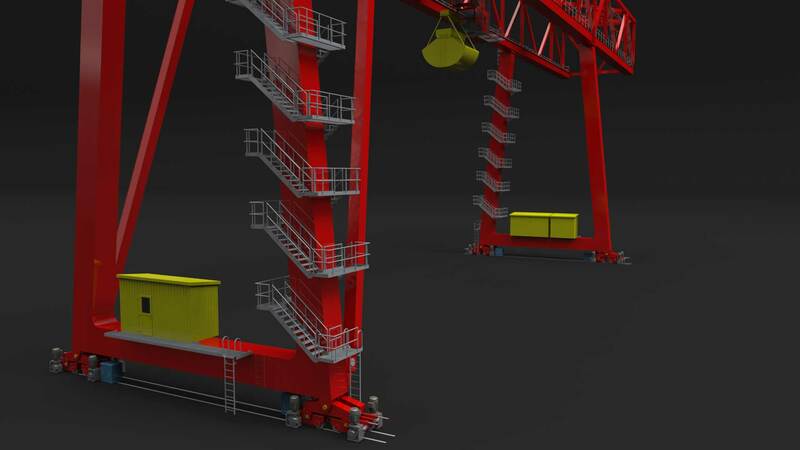 The device is equipped with a winch with a grab gripper with a lifting capacity of 32T, in which the mechanisms are built in a closed "house" and the cabin hung outside in a way that ensures good visibility and the ability to manipulate the gripper. An additional equipment is a service crane suspended on the top of the bridge truss, used for servicing winch.